What do all these beers have in common? Five of them are terrific beers (and I’ve got high hopes of the (Adnam’s) M&S Winter IPA, which I haven’t tried yet). The Double Stout is a limited edition and a bit pricy, but none of these is particularly rare, exotic or expensive – every one of them was bought from a supermarket. 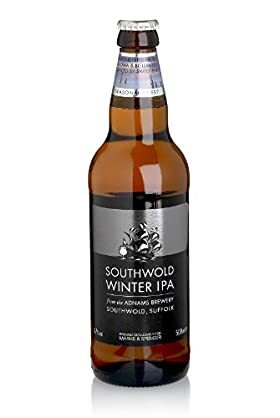 News from Suffolk: The local Police, fed up with ‘offies’ selling super-strength cider and lager to known nuisance characters, are encouraging the offies to stock nothing above 6.5% ABV. It is a voluntary scheme, with a slow take up, but it is a positive step towards dealing with the products that are associated with most of the problems. Responsible drinkers will be heartened by this news and we look forward to seeing the scheme adopted locally. While the Ipswich scheme is “voluntary” the Plod have been dropping hints that those NOT joining in may find a few objections come licence review time. Oh, and the Co-Op has already stated it’s adopting the scheme across ALL Suffolk stores. Ipswich off-licences, the Co-operative across Suffolk – it sounds like it’s foot-in-the-door time. Let’s hope this is just a misguided initiative in one corner of the south, and that if it does spread any further it will get a robust response from CAMRA – although if it comes to Nottingham, it sounds as if they’ll be pushing at an open door. Hands off our strong beers!